It’s that time of year when the weather keeps changing with fluctuating outside temperatures. 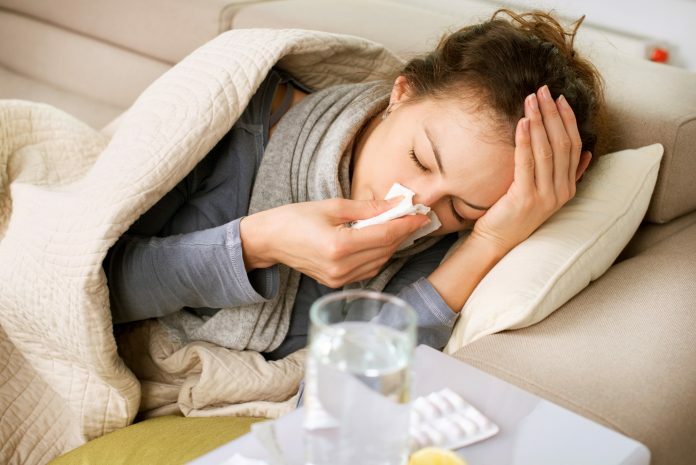 When our immune systems tend to be more run down and can have a hard time fighting off colds and flu. Thankfully, there are many natural, fun, and effective ways to support the immune system that can start in the comfort of your home. Vitamin K2 is the latest and greatest vitamin that aids vitamin D (Not to be taken if you are on a blood thinner). Learn more about the importance of vitamin K2! Click here to read – Calcium without Vitamin K2 is a Heart Breaker. Adding 1-3 drops of an organic essential oil such as tea tree or eucalyptus while the tub is filling allows for the lungs and sinus to stay open and get rid of any stubborn mucus. Have you heard of this miracle oil? You should be using it! Click here to learn more. Elderberry syrup ½ tsp/day taken as a tea or added to a shake, or on its own is a delicious way to ward off bacteria, even strep! There are so many wonderful teas that help strengthen the immune system—my all-time favourite is gingerbread tea→2 inches of ginger chopped, 2 cinnamon sticks, and the rind and juice of 1 organic lemon. Add these to 4 cups of water and simmer covered for 20 minutes. Add 1 tsp of unpasteurized honey* to your mug for a warming lovely tea. The collagen that is extracted from chicken or beef bones while making soup still stands as an important flu-fighter. Use cooked bones and add to a slow cooker full of filtered water. Add lemon or lime juice (this helps extract the goodness of the bones). Do this for 12-24 hours for the best soup stock. Use 1 or all of these suggestions in rotation. I strive to make soup 1/week, have the gingerbread tea 1/week and do the essential oil tubbies, elderberry and vitamin D/K daily. Click, Immunity and you – How to boost your Immune System Naturally for long-term protection for further reading. Contact Dr. Kirsten Almon at the Herbal Clinic and Dispensary on Roncesvalles (Toronto) or Erin Mills Optimum Health (Mississauga) for more information about your immune system, mineral status or anything else health related.